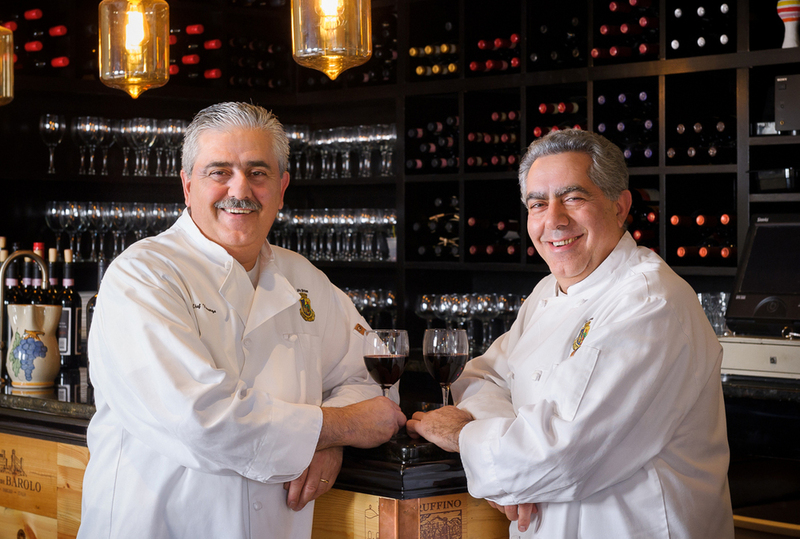 Brothers Nick and Vincenzo Petrafesa opened Cafe Silvium in 2001, bringing their passion for old world southern Italian cooking to Stamford. The 30-year Stamford residents had a simple vision for Cafe Silvium; they wanted to create a cozy atmosphere where anyone could sit down comfortably and enjoy their hearty traditional Italian meals. Cafe Silvium is a family-friendly restaurant, with recipes from the brothers’ hometown of Gravina Di Puglia, Bari, Italy. While everything on the menu is made fresh daily, and in-house, the pride of Cafe Silvium is the hand-made pastas, particularly the cavatelli, which is the chef’s specialty. Every day, chicken, fish and veal dishes are served alongside lasagna, pastas, salads and antipasti, and the regular menu is augmented by a daily special list almost as long as the menu itself. The daily specials tend to be seasonal, but can include delicacies such a venison, rabbit, soft-shell crab, Osso Busco, wild boar, or lamb. The warm and inviting environment, replete with the smells of simmering tomato sauce and garlic, is the perfect place for a night out with friends, a romantic date, or dinner with your family. You will not be disappointed by the fast, friendly service, or most importantly, your meal itself. Thank you for your interest in Cafe Silvium – don’t forget to check the menu and daily specials. Reservations for all parties are taken Monday thru Thursday. Reservations for parties of 5 or more are taken Friday and Saturday.